There are many reasons why you should consider expunging, setting aside or otherwise erasing your criminal record. The many benefits include protecting your privacy, to restore your civil rights and firearm rights, or to begin a reliable career. In general, there are three methods used to clear or modifying your criminal record in Texas. The first method involves setting aside your conviction. When a conviction is set aside, the case may still show up on your criminal record, though the record will show that the conviction was set aside or dismissed. The second method is to file a petition with the Texas court to expunge your criminal record. 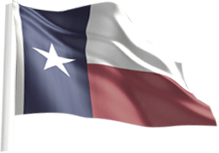 The process is granted by the Texas judicial branch and is handled by the court clerk. Note that the court clerk differs from county to county, and you will need to find the correct county (where you were arrested, charged, or convicted). When an offense is expunged from a criminal record, it prohibits the release, maintenance, dissemination, or use of the expunged records and files for any purposes. The third method is to file a petition for an order of non-disclosure. An order of non-disclosure is for offenders who have been placed on deferred adjudication for a felony, or a misdemeanor A or B, and if the charge was successfully completed. A granted order of non-disclosure orders the sealing of your case from your criminal record. You may also have the option to petition for a pardon with the state governor or the United States president. Obtaining a pardon is very difficult and should be left as a last resort, since pardoned are only granted under limited circumstances. Family Code Section 58.003 allows for the sealing of juvenile criminal records. A person with a juvenile record may be eligible to seal their record by filing an application at the juvenile court within the county where their juvenile offense occurred. Juvenile records that are sealed by the court are removed from the criminal history database. Before sealing your records, seek the advice of a specialized expungement attorney. Family Code Section 58.203 restricts access to certain juvenile records. Records relating to a person’s juvenile case that meet the criteria established by 58.203 are certified for automatic restriction of access to juvenile records. For research purposes by the Texas Juvenile Probation Commission, the Texas Youth Commission, or the Criminal Justice Policy Council. * Higbee & Associates, operates RecordGone.com. They are a sponsor of this site.